A blend of acids and wetting agents for use on concrete. Designed to help the removal of salts and deposits from concrete and mortar floors prior to painting. 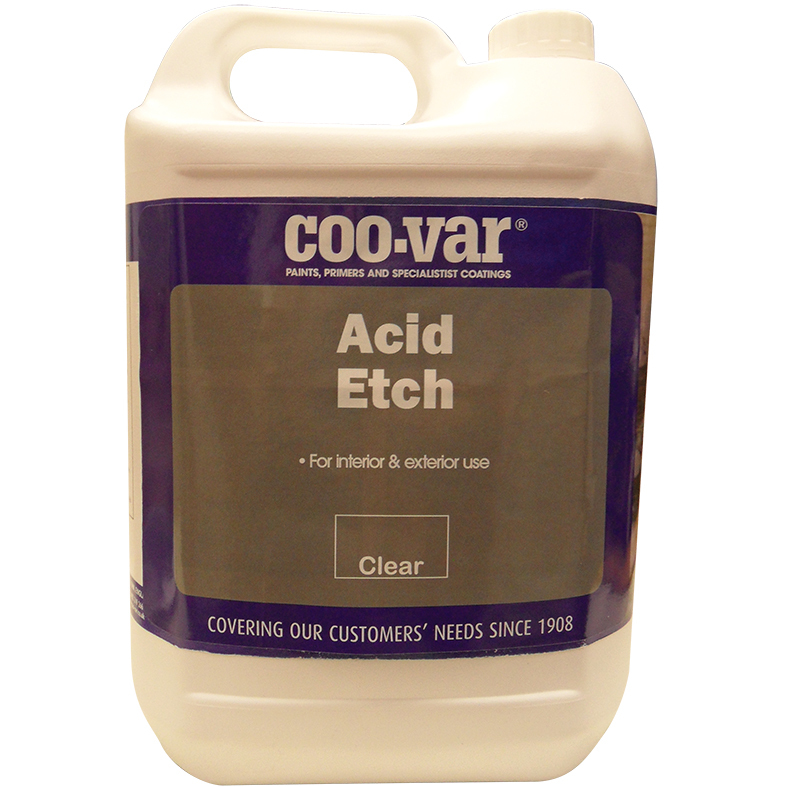 If the floor to be painted is exceptionally smooth then Acid Etch must be used, (e.g. power floated). Can be used to remove laitence from ferro hulls prior to painting.